Unstable ice. Raging rivers. Fire-scorched landscapes. 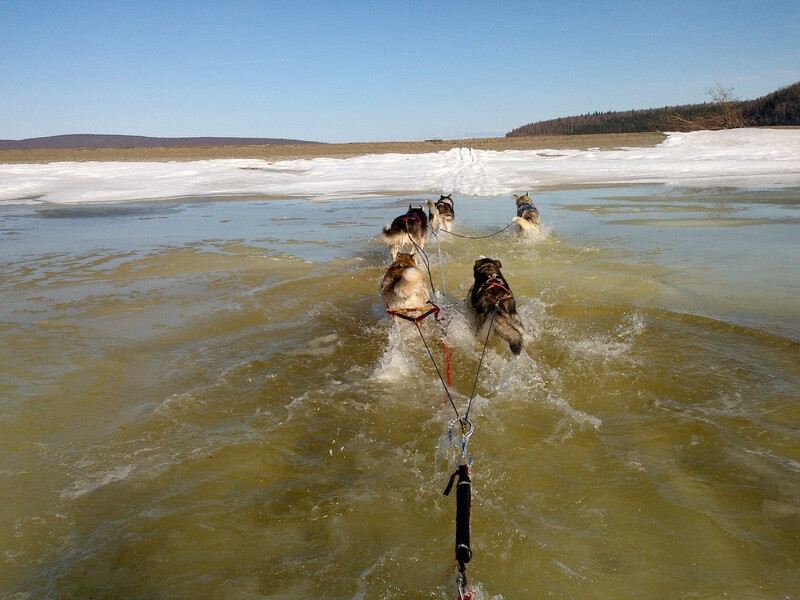 Deep within Alaska’s Yukon River Basin, residents faced with these obstacles during travel or hunting trips now use camera-enabled GPS units to send photographs to researchers across the state. 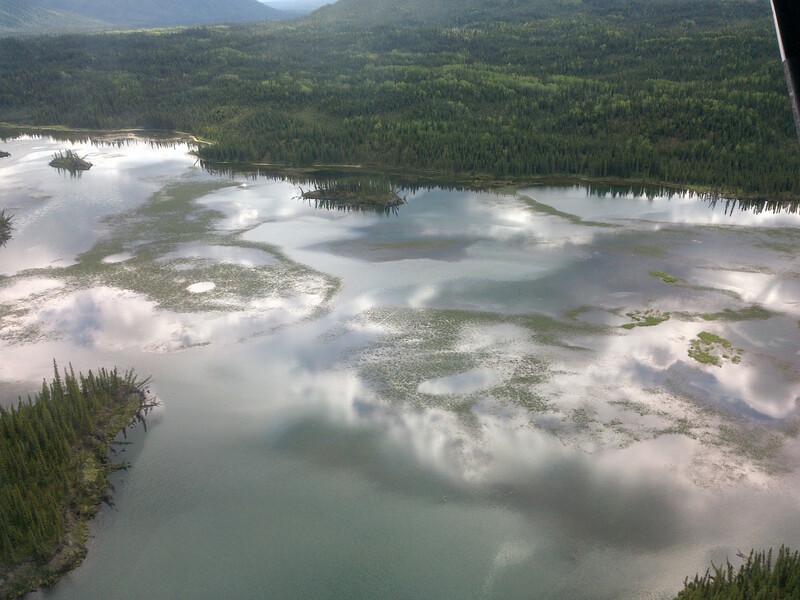 Scientists at the Bonanza Creek LTER and University of Alaska, Fairbanks are using the images, along with the associated GPS coordinates, as a starting point for their investigation into how extensively climate change is impacting access to subsistence resources in interior Alaska. Credit: Miki Collins, project collaborator. 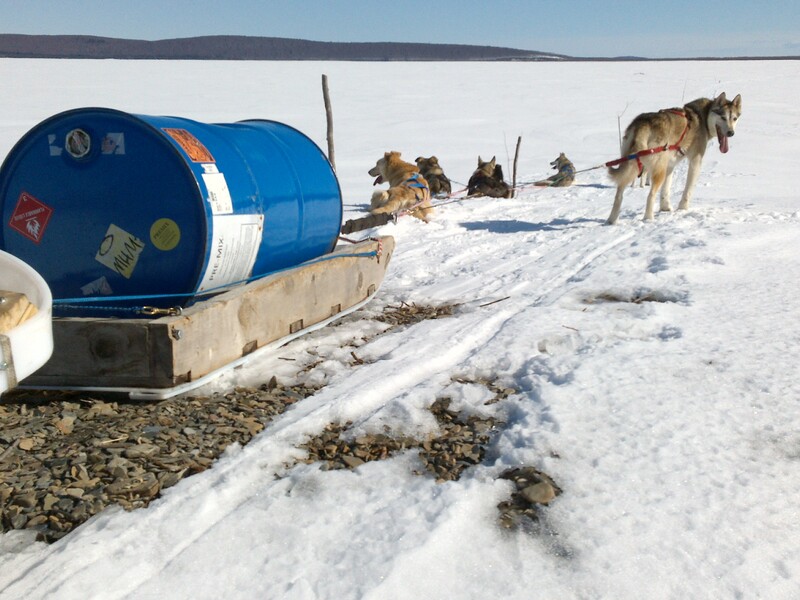 Early-melting snow leaves sled dogs high and dry. Outside the urban areas around Anchorage, Fairbanks, and Juneau, Alaska is studded with small remote communities, most of which remain disconnected from the traditional road network. Whether out traveling or hunting, residents, largely Alaska natives, rely on their understanding of the natural landscape—when rivers will be frozen, what kind of fire dynamics to expect, when caribou or moose migrate—to survive and thrive in these remote regions. Almost 90% of these rural households rely either partially or entirely on subsistence hunting and gathering, lifestyles entirely outside the cash economy that operates in the rest of the state. Local participants started reporting in March and will continue for a full calendar year. In just the initial data, climate change impacts are evident: early snow melt and heavy rains meant higher river levels, which made travel difficult and prevented trappers from laying their lines; more frequent and intense fires obstructed movement and changed prime hunting and gathering areas. Credit: Matt Snyder, project collaborator. Early ice melt near Tok, AK. Residents’ reports will be followed up by multidisciplinary groups of scientists conducting field-based assessments. They will aim to answer a few basic questions: What mechanism is driving the disturbance? And what ecosystem characteristics in the area resulted in this landscape change? Together, these answers will point scientists toward a better understanding of which other locations likely face these same changes. Generalizing the reams of local data researchers will collect is a challenge. Luckily, the team has another tool in their back pocket to help them: satellite imagery of the area is extensive. If a local disturbance (e.g. dangerous river ice) has a unique signature, then the team can study remote imagery statewide to identify what other areas might also be experiencing it. LANDSAT archives go back to the early 1980s, so the team can cull records across three and a half decades to see if the extent of disturbances has indeed changed over time and whether they can identify a recognizable trend. Todd Brinkman, the project’s lead investigator, described his hope that research outcomes will be useful in two ways. First, quantifying changes statewide will help government agencies to get a better grasp on how many households are affected—and by how much. Secondly, and more importantly in Brinkman’s mind, this research will give remote communities the tools to remain self-reliant by adapting along with climate change. The Department of Fish and Game, the Forest Service, tribal councils, and tribal organizations are all partners in the project and can act in different ways to help maintain access to subsistence resources. Regulatory agencies, for example, could lengthen fishing or hunting seasons to accommodate for travel disruptions, and tribal organizations could help residents identify successful adaptation strategies. Brinkman expects further LTER research to focus explicitly on how to spread these strategies between communities, facilitating accelerated collective learning. For more information, read the project’s ABoVe profile and find out more about Bonanaza’s Social-Ecological Research Program. Also check out NASA’s recent blog coverge of the project.